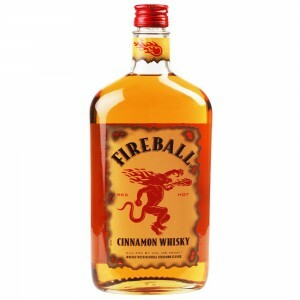 Fireball Whiskey has grown in popularity here in the USA to become a top seller. These headlines may seem alarming, but are they something to be concerned about? While the FDA here in the United States has classified the additive Propylene Glycol as GRAS (Generally Recognized As Safe), is it really? We all know that whiskey isn’t a health drink, and that with alcohol moderation is key, but what effect does Propylene Glycol have on the human body and health? Is it actually safe to consume as claimed by the Food and Drug Administration? According to the Agency for Toxic Substances and Disease Registry along with the CDC it can have an effect on the skin, kidneys and urinary system as well as the respiratory system. It is a synthetic liquid that absorbs water. It is used as a food additive as well as in pharmaceuticals, antifreeze, cosmetics, hydraulic break fluid, paints and plastics. It is odorless and tasteless. Propylene glycol breaks down in the body in about 48 hours. Studies on dogs and rats, which were fed doses of PG ranging from two to five grams per kg of body weight per day, showed no links to cancer. It seems from the studies done that small amounts are not enough to harm your health, though ingesting any chemicals purposefully really isn’t the best idea. Unless you are drinking Fireball to excess, I would not worry too much about the small amounts of Propylene Glycol in this whiskey.